The WS-10NAT-CE from Classic Cantabile is in the popular dreadnought style with cutaway set in the middle, rich bass and smooth treble. 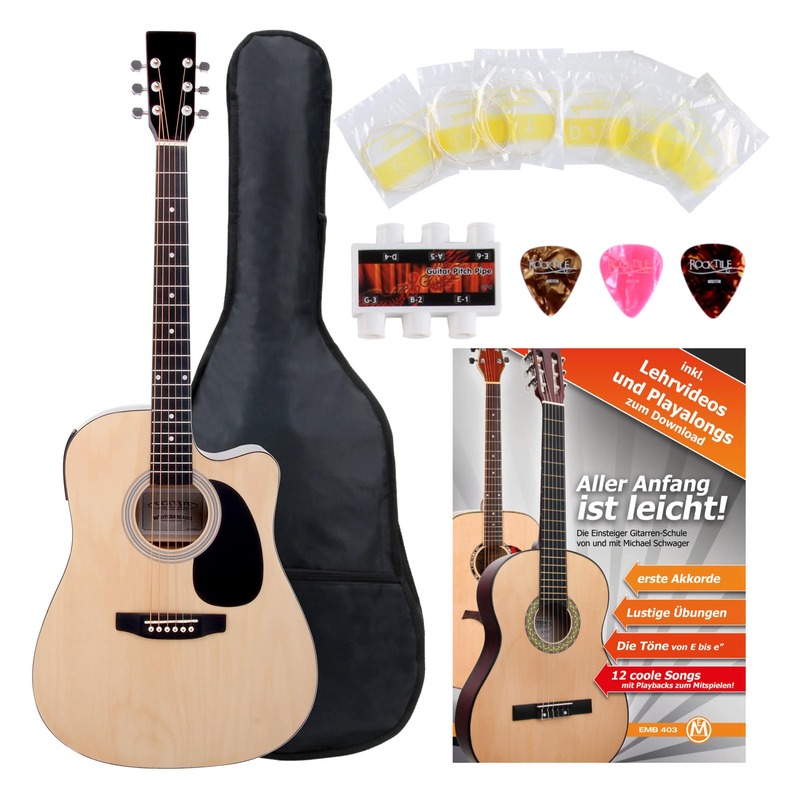 This acoustic guitar is a class instrument for beginners and ambitious advanced players in search of a reasonable, yet cheap second instrument. 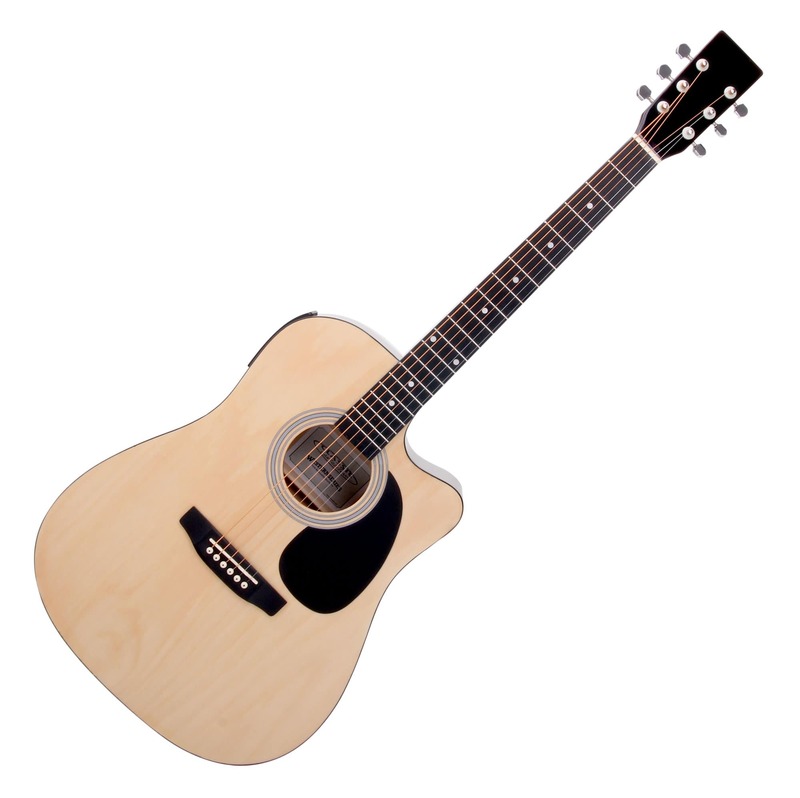 The WS-10NAT-CE is versatile – play it by the campfire, on stage as a rhythm guitar or as a solo instrument. 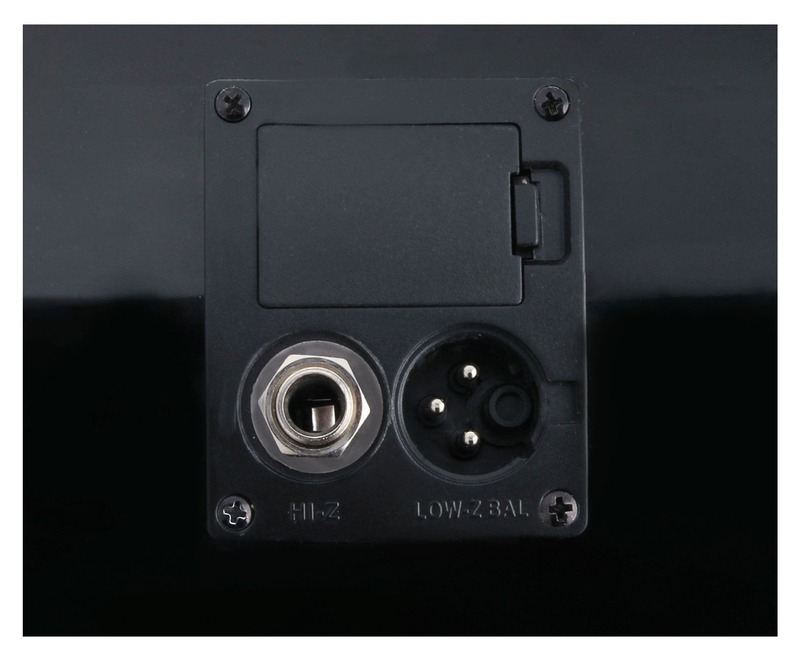 The WS-10NAT-CE also has an integrated, active preamp. With the volume controls, you can adjust the 3-band EQ (bass, middle, treble) and presence for the perfect setting. But that's not all: the tuner with backlit LCD display allows the guitarist to quickly adjust tuning, even between songs on a dark stage. 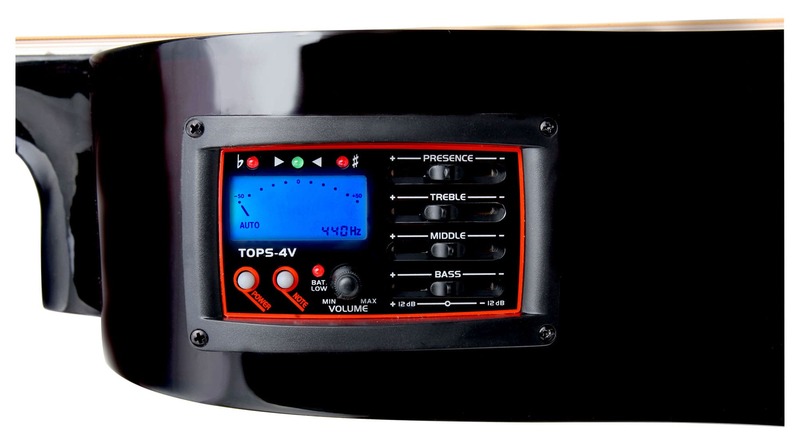 The tuner features an automatic mode, detecting and adjusting tones with precision in a matter of seconds. 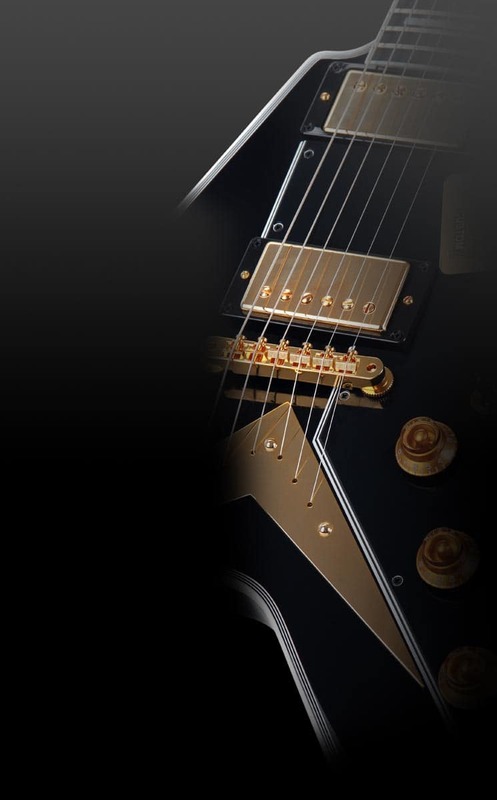 For fans of open and individual tunings, the tuner can be switched to note mode to adjust tuning individually. In addition to the 6.3 mm jack output, the WS-10NAT-CE comes up with a balanced XLR output. This ingenious feature makes it possible to go directly to a multi-core, without having to interpose a DI box. It is nearly impossible to lose signal transmission, even with long cables! 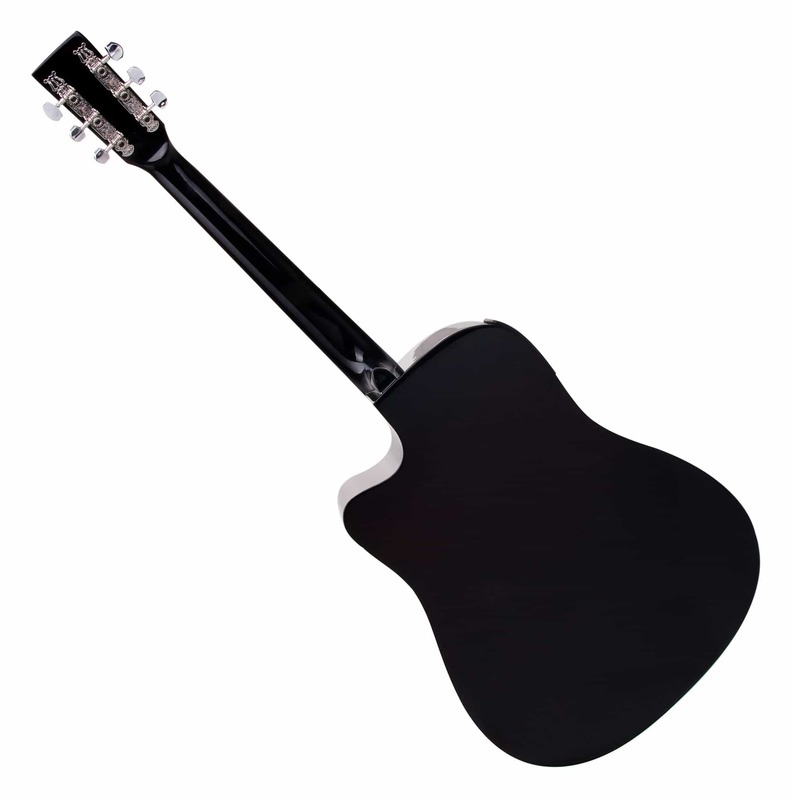 Thanks to the cutaway, all the treble notes are easy for the guitarist to reach. 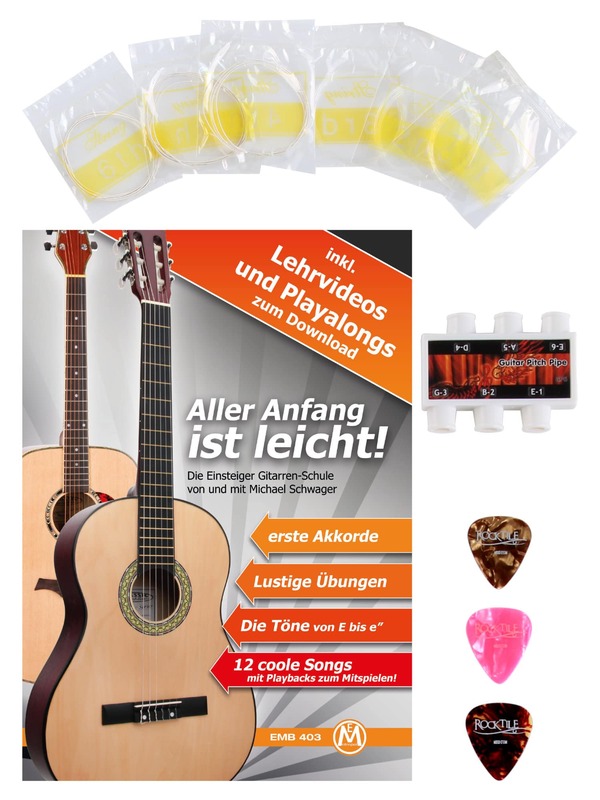 This makes the guitar especially suitable for playing solos. 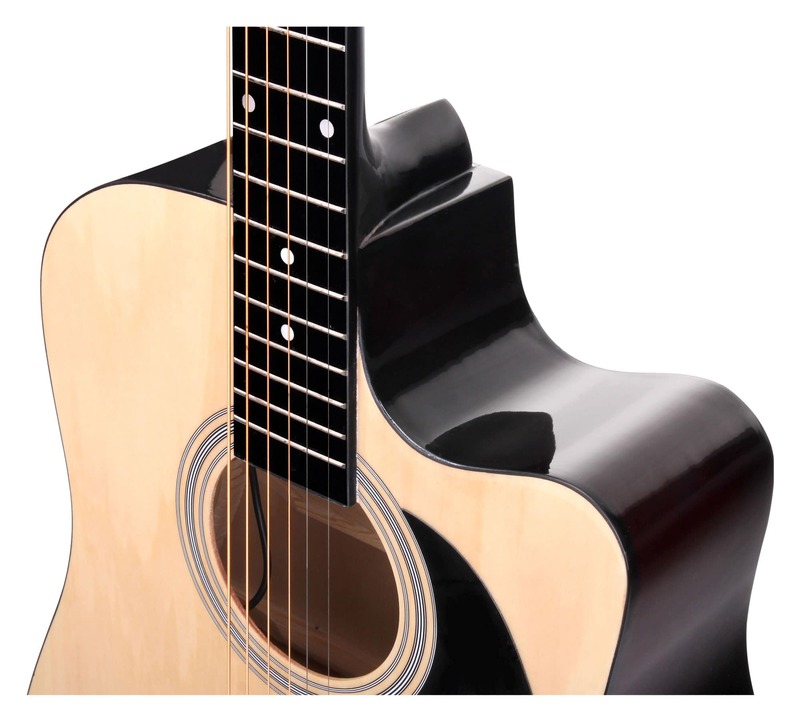 The top, back and sides of the guitar are made of lindenwood, the fingerboard is made of maple, and the bridge and the neck are made of birch. 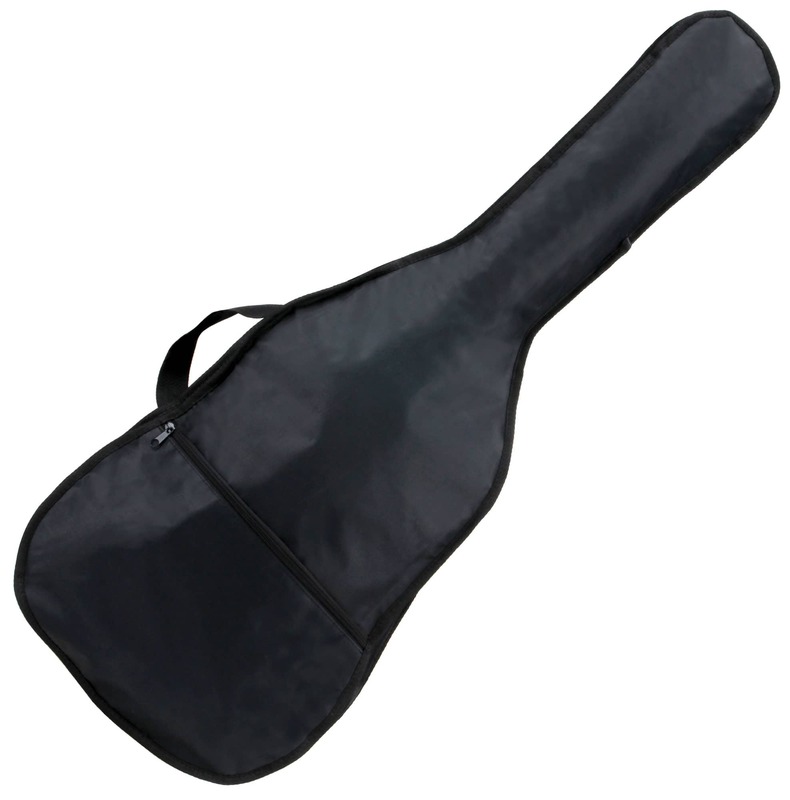 The 2-way truss rod provides flexible reinforcement for the neck. And visually, the WS-10NAT-CE is a blast.